Did Nokia make a mistake by going with Windows Phone? Nokia Lumia 900 with Android 4.x? Should Nokia have chosen Android over Windows Phone? Many think so, including one former Apple executive. Things are getting rough for Nokia. Today, their stock hit the historic low of $2 a share before closing at $2.02. That’s bad, very bad for a company who traded for over $40 a share just a few years ago. What’s more, the “no Windows Phone 8” for current devices, especially the high-profile Lumia line, is doing nothing to inspire confidence in the company, whose primary business is selling phones. See RIM. Recently though, some people have been clamoring for Nokia’s heyday and stating that Nokia should have gone with Android instead of Windows Phone. 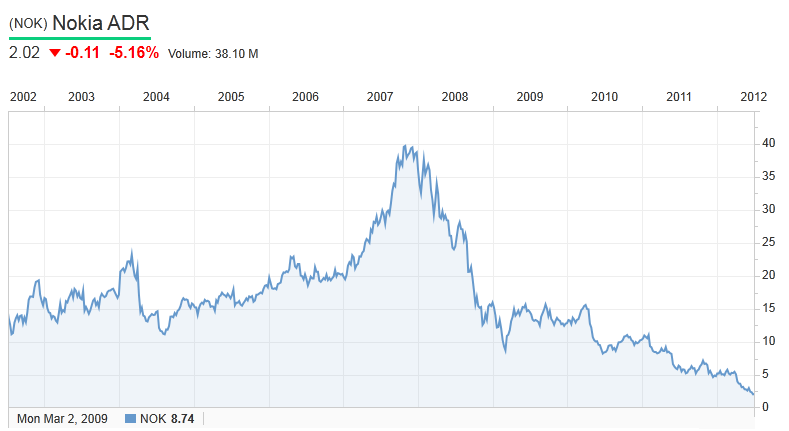 Others think they abandoned Symbian way too early even though Nokia’s stock crashed below $10 back in 2009. News flash: Symbian was dragging the company down and their stock price reflected this years before they announced they were going with Windows Phone. In an interview with Computing.co.uk, a former Apple executive named Jean-Louis Gassée (he left in 1990, before the company became interesting) threw Nokia CEO Stephen Elop and the Board under a bus noting that the company should have chosen Android, like he recommended, instead. Sour grapes? For Gassée, Elop gets a lot of criticism because he pre-announced the Windows Phone deal months before they would have any devices to sell. In turn, everyone knew Symbian was dead and Nokia’s sales really tanked. This is referred to as the Osborne Effect which is why companies generally don’t pre-announce new wares while their current ones are still selling. But Gassée says this happened twice, since the Lumia line was just announced as not getting Windows Phone 8 creating a “double Osborne Effect” with no Symbian to fall back on and their Lumia line is predicted to flounder. We actually agree with Gassée in the way this has played out for Nokia is far from ideal and it could have been handled much better both by Microsoft and Nokia, especially since the latter has much more to lose. 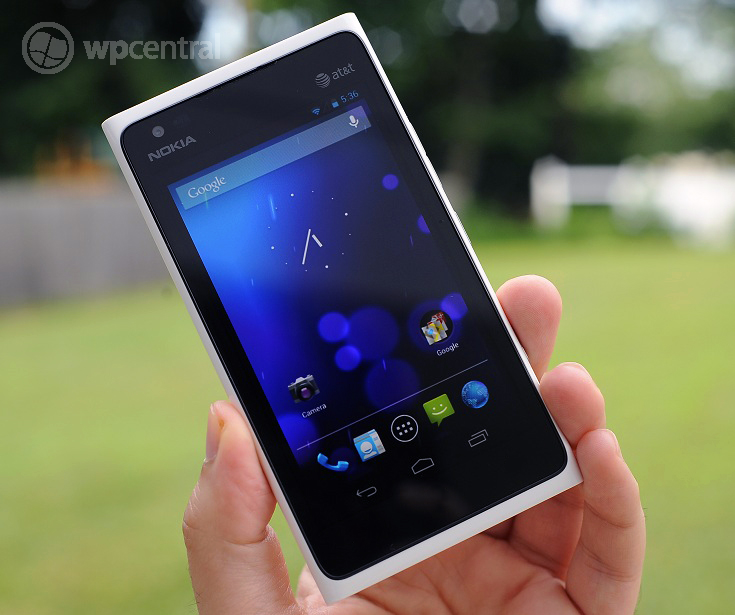 But the notion of Nokia going with Android seems crazy to us. Would Nokia have created some fantastic Android phones? There is no doubt they would have developed some amazing Android hardware, especially with their flare for design. But the profit margins are so slim for Android since OEMs are either being sued by Apple or they have to pay royalties to Microsoft for patents, that the payoff might not have been worth it. Nokia may have sold more phones but it’s not clear that being “just another Android-OEM” would be enough to save them. Nokia’s position on this matter has always been clear: the Windows Phone base is small and therefore Nokia can dominate that field instead of playing catch up to HTC and Samsung using Android. And guess what? They’ve done it. We showed you yesterday how ‘Lumia’ trends higher even then ‘Windows Phone’ for Google searches and everyone knows the Finns own the Windows Phone playing field right now—even while having some high profile issues. The larger question is not so much about Nokia surviving but about Windows Phone. Everyone seems to agree that Windows Phone is a sold mobile OS and that the double-punch of Windows Phone 8 and Windows 8 desktop (plus Surface) is a potentially killer combo not matched by Apple or Google. If Nokia can survive the summer and Windows Phone 8 is a success, they stand to be the big mover in the field—something which Samsung and HTC cannot match, especially with their “divided attention” due to Android. Seeking to be a leader with an OS versus just another player is a big difference in strategy. Is it risky? Definitely. Again, Nokia’s stock is hovering just about $2 a share right now. But Microsoft won’t allow Nokia to be bought-out by any other third-party (nor will the Finnish government for that matter) and Redmond won’t allow them to go out of business. This is something that RIM can’t bet on—a guardian angel to inject capital into the company should things go really bad. Who would save Nokia if Android failed them--Google? Going with Android would not have killed Nokia but it wouldn’t have made them a leader either. With Windows Phone, Nokia is making a bet but the potential reward years from now is considerable. That’s a different philosophy and one where we can see the appeal. Nokia wants to define what a modern smartphone should be versus already being defined. That's the take away.